Himachal treks are known for their unbroken greenery and vast valleys. The terrain makes it easier to build roads deep into the Himalayas therefore it is easier to reach high altitude mountains in significantly lesser time. Our expedition to Mt. Shitidhar gets you the first taste of snow boots and feather jackets, climbing ropes and ice-axes in this adventurous Himalayan expedition for beginners and less experienced. I like the mountains because they make me feel small. They help me sort out what’s important in life. Trekking in Himachal Pradesh is another experience in itself. While treks in Uttaranchal are known for their beautiful glaciers, Himachal treks are known for their unbroken greenery and vast valleys. The terrain makes it easier to build roads deep into the Himalayas therefore it is easier to reach high altitude mountains in significantly lesser time. We exploit this benefit to climb an 18,000 ft. peak- use snow boots, climbing ropes and ice-axes. A full-fledged climb in just over one week. Mt. Shitidhar is perfect for those who want a taste of true adventure without straining themselves too much on a more technical expedition and since the height gain is fairly gradual, high altitude is less of a hindrance. The experience of using technical equipment, negotiating a mountain alpine style, the tremendous view from the summit along with the satisfaction of being at a place where very few dare to go or will ever be able to go in their entire life will take you to absolutely another high. Trekking starts from a place called Dhundi, which is about 25 km ahead of Manali. We trek up via Bhakartaj then to the source of Beas- Beas Kund and the real climb starts from there. 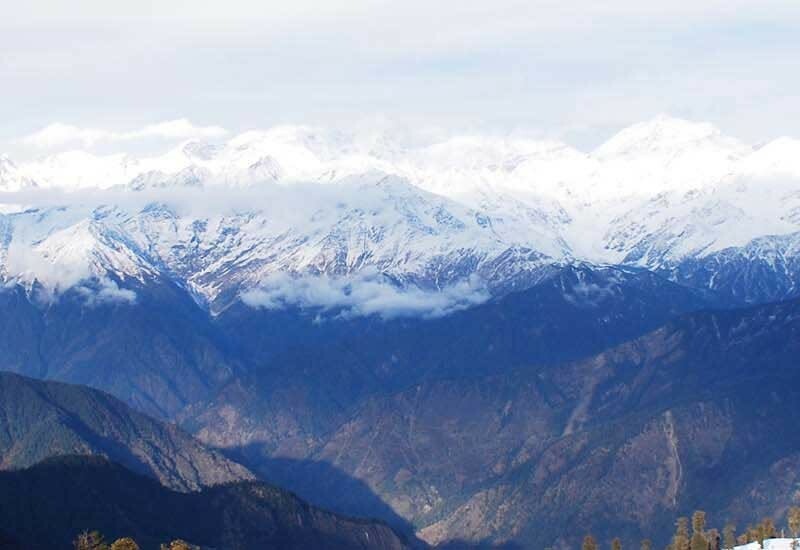 The trek goes through untouched and unending green onto spectacular white offering up close views of peaks like Hanuman Tibba, Mt Laddakhi, and the Chandra Bhaga range. Not to forget the charming bars and bakeries in old Manali. Perfect for some post climb celebration. From Manali to Manali this climb can be done in 8 days. Add an overnight bus journey if you are from Delhi and another 2-3 hour flight if you are from Mumbai/ Bangalore or another city and you have an experience on your hands.. When combined with your weekend holidays, you need to take not more than 5-6 days off from your workplace for this experience. The route (of around 10 km) is mainly flat through tarred and un-tarred roads, villages, through the apple orchards and marijuana fields (yes, you read that right). We would pass through Old Manali, Ghoshal, Shanag and Burwa villages. The road has been restricted to traffic as a 9 km tunnel is being built towards Rohtang pass, which when built will bypass at least 50 km or 2 hrs of drive time. We would pass through Dhundi and walk next to the might Beas river. The campsite is a meadow, which would typically have hundreds of sheeps grazing. The base camp is a green meadow next to the stream covered with a variety of colourful wildflowers. The entire campsite is surrounded with the snow-capped peaks from Pir Panjal and Dhauladhar range, which seems to be very near. Friendship peak is clearly visible. Acclimatization Day. Today we will climb higher and come back to the camp site to get well acclimatized and prepare for the summit climb. This is quite an arduous and steep walk towards the Advance Base Camp, which is on the snow. One has to pass through a treacherous long ridge, which is typically covered partly with ice and snow. If not careful, slipping multiple times is common while walking on the ridge. We would start ascending late in the night around midnight or so when the snow is still hard. Snow boots, gaiters, ice axe is a must. We would also be roped (through our harnesses) just as a precautionary measure. The climb would take 5-6 hours depending on our pace. And we will be on the top for the sunrise. The climb down is much faster, but one has to be a bit careful. We will bid goodbye to the mountains and walk towards Manali. Food & Beverages: Breakfast, Lunch, Dinner, Tea etc. (Multi cuisine veg/non-veg prepared by well trained cooks). This holiday season as soon as the winter sets in celebrate the white Christmas and usher in the New Year camping luxuriously in a beautiful meadow in Uttarakhand called Dayara Bugyal. Enjoy the outdoors with the scenic beauty of the snow capped Himalayan peaks, clean air and of course crisp cold in a typical Rustik yet comfortable way of camping. Sikkim has lot of history since it has been nestled for ages between the ancient Tibetan, Bhutanese and Nepalese kingdoms, and later with the British that saw frequent historical exchanges, remnants of which can widely be seen. Sikkim has a rich heritage seeped in Buddhism as can be evident from the number of beautiful monasteries each of which have a story to tell. 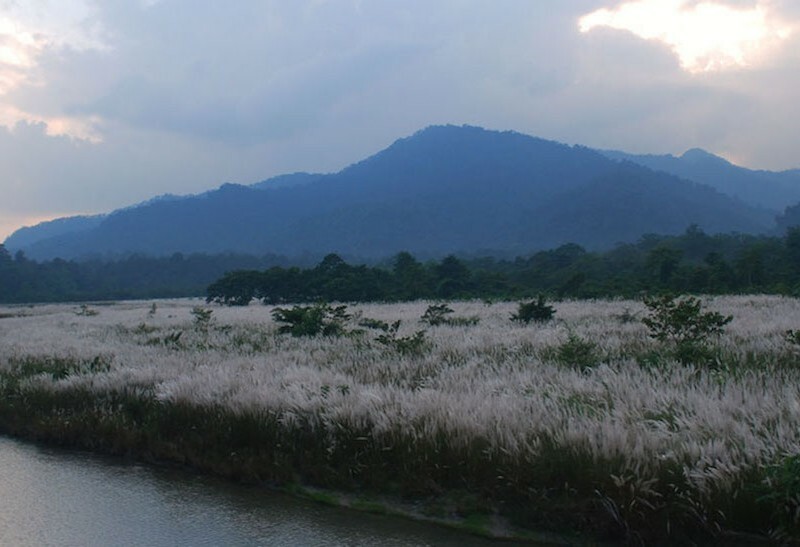 Sikkim has been very careful not to let development come at the cost of nature with a third of the state being heavily forested till date and a fourth of it being protected under the Kanchendzonga national park making it a state very rich in flora and fauna. Sikkim is also India’s first fully organic state. Not to forget the mighty Kanchenjunga which is of reverence to all there and forms a beautiful backdrop at a number of places. The people of Sikkim are remarkably cheerful and friendly, urban centers in Sikkim are great places to chill out. The quintessential Sikkim experience is an attempt to explore all of these – history and heritage, nature and mountains as well as the rich and unique local culture. India is blessed with snow covered mountains in the north, temple towns at the south, dense forests to the east that are full of rare flora and fauna and unending long captivating deserts at the west. 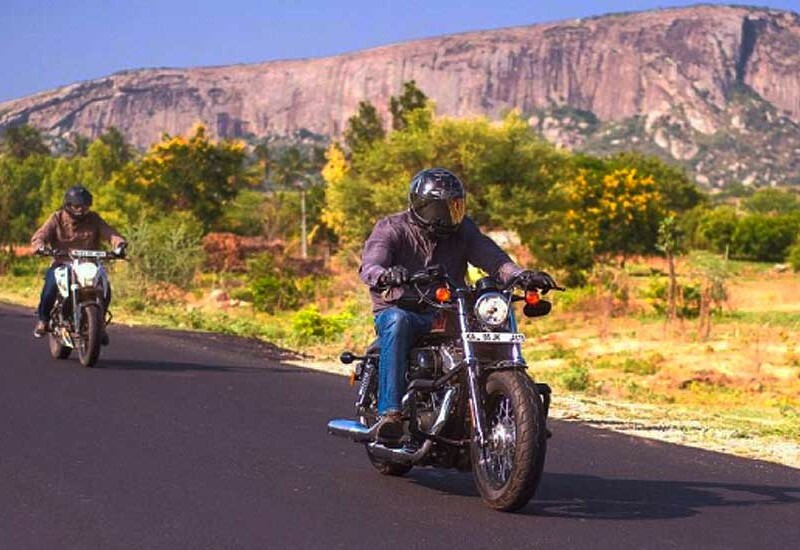 Would you want to go on a ride with us on a Royal Enfield, Triumph or a Harley Davidson and see these fabulous locations? Ride with fellow bikers and forge a bond of brotherhood. Island Peak is 6,189 meters high and one of the most popular and busy trekking peaks in Nepal, also known as Imja Tse, lies in the Khumbu Himalayan range. Island Peak takes its name from its appearance due to its striking resemblance to an island on a sea of ice. 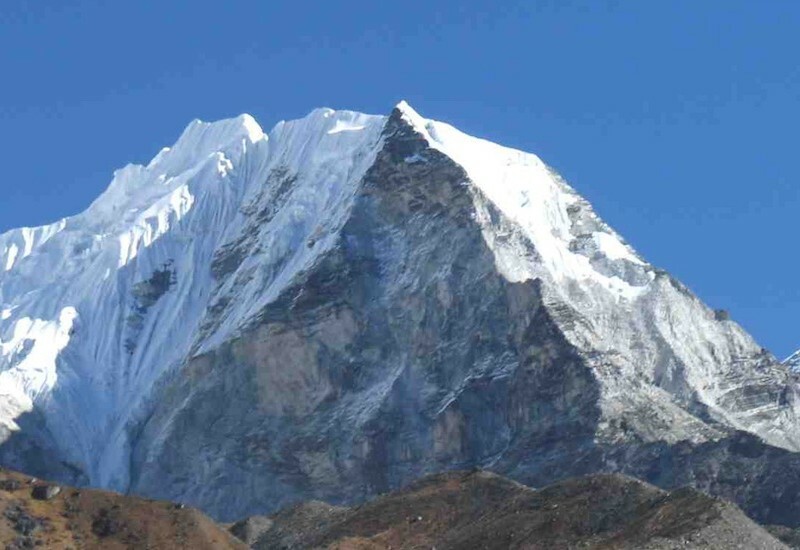 It is located in the heart of the Khumbu region at 6,189 m. If you are seeking the thrill of adventure and wish to widen your experience towards the 6000 m plus peak climbing, this is the mountain for you.